Bo Xilai was one of the rising stars of the Communist Party. Named “Man of the Year” in 2009 in a People’s Daily poll, and the subject of a popular home video widely shown on the Internet, he was the top party official in Chongqing, China’s largest municipality, where he has won acclaim for cracking down on local organized crime and putting corrupt officials behind bars. Bo was a telegenic self-promoter who spoke passable English. He was widely lauded in China and abroad. He dressed sharply and has a flair for the dramatic. His directness and independent streak impressed foreigners but annoyed peers, who prefer to rule through backdoor consensus and often stilted slogans. Former Secretary of State Henry Kissinger visited him in Chongqing in 2011. Arian Eunjung Cha wrote in the Washington Post, “Charismatic, handsome and majestically tall, by Chinese standards at 6-foot-1, Bo has become a poster child for China's princelings. “While other senior-level officials tend to be shy and awkward in dealing with the public and the media, Bo has managed to charm everybody. He has led crowds of thousands in sing-alongs of “red culture” songs, sat down for TV chats with protesting workers and communicated with students via mass text messages.” Many regard him as too controversial and too populist to be president or premier but he stands a good chance to made it into the Communist Party’s nine-member Standing Committee. Bo was accused of being more concerned with his own rise than China's. "I didn't trust Bo Xilai because he seemed so liberal in so many of his positions, and then all of a sudden became this leftist nationalist when he moved to Chongqing," David Zweig, a China scholar at Hong Kong University of Science and Technology, told Reuters. "I think that surprised people and suggests that he was much more of a chameleon than dedicated to a particular set of policies." Bo is the second oldest son of Bo Yibo, one of a group of Communist Party officially known as the Eight Immortals. Bo Yibo was one of Mao’s most trusted associates before being purged in the Cultural Revolution for supporting economic reforms and closer ties with the West. In 1966, he was paraded through Beijing's Workers' Stadium by Red Guards and is said to have shouted: "I am not a traitor! I am a member of the Communist Party!" The whole family was sent to a prison for five years, then to a labor camp for another five. Bo Xilai's mother is believed to have either committed suicide or have been murdered or beaten to death by Red Guards during the Cultural Revolution. Bo Yibo spent time in jail both before and after the 1949 revolution.He was rehabilitated by Deng Xiaoping and restored to his position as vice premier. 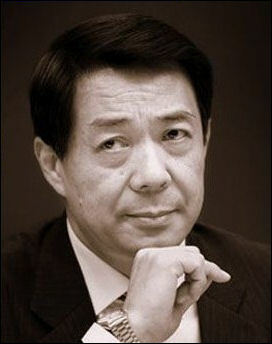 Bo Xilai prospered during this period, attaining a degree in history at Peking University and working at the prestigious Chinese Academy of Social Science. As party leader in Chongqing he has won praise for the way he handled strikes by taxi drivers, teachers and police. He ended the taxi driver striker by inviting representatives of the drivers to a forum broadcast on state television. He has won brownie points in the party for his “Red Culture Campaign” to reform social gathering to read and study Mao’s works. Bo Yibo played a prominent role in lobbying for a crackdown on the student protesters in Tiananmen Square in 1989. The fall of his son, Bo Xilai, fueled speculation that more liberal-minded leaders, such as Prime Minister Wen Jiabao, who worked alongside Zhao, want to revise the official verdict on those events. Bo Yibo died in 2007. Gu Kailai is Bo's second wife. She studied law and international politics and after graduation founded the Kailai law firm. The couple has a son, Guagua, who was educated at two private boarding schools in Britain, including Harrow, where Winston Churchill and other famous people went, followed by Oxford University, where he won a reputation for partying. He is now at Harvard University. According to the New York Times: Gu Kailai rose to prominence as a lawyer by handling several high-profile cases, and is believed to have been the first Chinese lawyer to win a civil case in the U.S. She also wrote several popular books, including "Winning a Case in the United States." Mr. Bo told a news conference during the annual meeting of parliament this month—his last public appearance—that his wife had given up her legal career two decades ago so that it wouldn't appear that she profited from his position. "She now basically just stays at home, doing some housework for me. I'm really touched by her sacrifice," he said. The story, recounted in two recent interviews with Mr. Bo’s estranged first wife, Li Danyu, 62, deepens the Shakespearean dimension of a scandal that has gripped this nation and disrupted the party’s once-a-decade leadership transition. In the interviews, the first she has given to a news organization, Ms. Li spoke in detail about her marriage to Mr. Bo, giving a rare glimpse into the early life and thoughts of the son of a revolutionary leader and someone whom Ms. Li described as an idealist enamored of communism. “We believed we needed to save the rest of the world from the hell of capitalism,” she said. The Chongqing Anti-Crime Campaign also drew criticism for ignoring due process at a time when the government is at least paying lip service to calls for strengthened legal guarantees, albeit highly selectively. It also appeared to especially target private businesses, fueling a sense of insecurity among China's entrepreneurial class that is spurring large numbers of them to move abroad. China’s legal community was incensed when a prominent Beijing lawyer, Li Zhuang, was arrested and spent 18 months in jail, allegedly for coaching a gangster he was defending to give false testimony during his trial. He was released this month. Legal scholars said Li’s case cast a pall over all lawyers in China, who might find themselves being prosecuted for helping their clients. Li called the ‘smash black, banish evil” campaign “red terror”—the visible side of an intensely secretive and volatile order. Li, whose assets—worth an estimated $700 million—are now controlled by the Public Security Bureau, said the Chongqing governance system “is not a model but a huge catastrophe.” Fearing for his safety, he asked that his current location not be identified. When Bo took over as Chongqing party chief in 2007, Li didn’t see much reason to worry. The businessman, originally from Hubei province, moved to Chongqing in 1984 as a soldier in the People’s Liberation Army and, after five years of service, set up a small trading business and then a gas station. Other ventures followed, including a restaurant, a karaoke parlor and a small sauna, a line of business often associated with vice. His main moneymaker, though, was property, which spawned a string of companies involved in construction, design, leasing and decorating. In 2008, he got a big break with the purchase of plots of undeveloped military land in Chongqing’s Shapingba District. They cost him nearly $80 million, he said. He closed the sauna, which he said didn’t make money. At around the same time, Bo, eager to impress leaders in Beijing and gain elevation to the Politburo Standing Committee, launched a morality drive called the Red Culture Movement and featuring “red songs,” Mao-era anthems praising the party. Like other businessmen, Li had to organize singalongs at work and send employees to mass “red song” rallies. Then the arrests started, supervised by Wang, Bo’s police chief, who is now incommunicado and under investigation in Beijing. “Every day the newspapers had news about new arrests. I worried I would be next,” recalled Li, who has three daughters, one of whom is studying in Washington. In December 2009, he got picked up by police, who he said beat him repeatedly during questioning that focused on his land deal with the military. Interrogators, he said, told him that he had upset Zhang Haiyang, a senior army officer in the region—and yet another princeling—whose relatives allegedly coveted the property. Zhang, whose wife is the offspring of a senior official, has since moved to Beijing and is now political commissar of the 2nd Artillery Corps, which controls China’s nuclear missiles. Li said he was kept chained for days to a “tiger bench,” a metal chair designed to maximize pain, his arms and legs shackled while security agents pummeled him, screamed abuse and demanded that he confess. Held for three months in police and military establishments, Li was cleared of any wrongdoing in March 2010 and released after agreeing to cough up 40 million yuan, or $6.3 million, in “compensation, according to a document issued by the Chengdu Military District Political Security Department. Li said he owed nothing but had to pay to secure his freedom. Chongqing authorities declined to comment on Li’s account. “We have not heard such things, and we don’t think it is necessary to give any response,” said an official at the propaganda division of the Chongqing Public Security Bureau who declined to be identified. In October 2010, while on a business trip to Chengdu, Li got a tip-off that he was about to be arrested again. He fled the following morning to Hong Kong. His wife intended to flee, too, but didn’t have the necessary paperwork. She was arrested and spent a year in jail. Other relatives also were picked up, including an older brother, Li Xiuwu, who was sentenced in December to 18 years in jail for leading a “black society,” the Chinese term for a mafia-like crime syndicate. He was fined $32 million. “They couldn’t get me, so they got my older brother,” said Li, who added that his sibling played no role in managing his company. The verdict, issued by the Shapingba District People’s Court, details the state’s case, describing a host of unrelated crimes that include prostitution and loan-sharking. The Junfeng Industrial Development Group, ruled the court, served as a “cover for a series of illegal and criminal activities . . . that oppressed and hurt the masses, severely damaged the local economy and disrupted social order.”The group’s now-frozen assets are due to be handed over to a state-owned company that has ties to local officials. Li dismissed the case as “all lies,” noting that the prosecution focused on an entertainment venture that accounted for just 2 percent of his group’s revenue. “I’m a businessman, but if you upset somebody [in power] you are a gangster.” With 1,500 managers, accountants, architects, construction workers and others on the payroll, he scoffed at accusations that he spent his time “collecting pennies from hookers.” He said he is broke, having kept all his money in China instead of moving it overseas: “I never thought things would turn out like this,” he said. A year later, when the “crackdown on gangsters” began, the taxi strike was deemed to have been organized by “mafia.” I visit my home city often and I knew the predicament of the cab drivers was real’so that verdict was enough for me to be alarmed. Where had the sympathetic Bo gone? What was the real purpose of the “crackdown?” Today I continue to wonder what role the taxi strike played in Bo’s decision to start a Cultural Revolution-style campaign, and what he had really felt inside when he appeared as a sympathetic listener to the strikers. Initially, the crackdown made a positive impression on me as well’like the general public, I was eager to see the corrupt punished. The irony is, later I would be as shocked by the death sentence of Wen Qiang, Chongqing’s police chief preceding Wang Lijun, as I was pleased by Wen’s arrest at first. Then came the official attempt to overturn the verdict of the taxi strike. Then came the Li Zhuang case. Then came a dozen death sentences and executions in quick succession—a batch execution, really, with a concentration not seen since the heyday of the Cultural Revolution. An ex-judge I met last year questioned the legality of Chongqing’s crackdown. “There is no such a term as “mafia” or “gangsters” in China’s criminal law,” he told me. Barbara Demick wrote in the Los Angeles Times: People started griping that his vanity campaigns had run the city deep into deficits. According to Chongqing-born Chinese American writer Xujun Eberlein, Bo had spent more than $1 billion to have ginkgo trees—his favorite—planted throughout the city although the climate was too hot. The police got fancy new uniforms costing $600 each. During his “red song” campaigns, Chongqing television was banned from airing advertisements, leaving the station deeply in debt. “It was like he was setting up his own independent kingdom in Chongqing,” said Qing Yongpei, a lawyer from Guangxi province who is following the case. The overly zealous campaigns evoked memories of Chinese communism’s greatest failures—the Great Leap Forward, which thrust China into famine, and the Cultural Revolution, which caused a decade of chaos. Ian Johnson wrote in The New York Review of Books that Bo’s “Chongqing model” of greater state control and leftist ideology included something for almost everyone. Some were progressive, such as helping farmers, some statist, such as huge public works programs, and others pro-business, such as courting investment. Civil libertarians were unhappy because he trampled on the law in pursuit of organized crime but this is par for the course in China; the past decade has seen a steady erosion of rule of law and a rise of extra-judicial detention for government opponents or ethnic leaders. The fact that Bo was offering these measures as a kind of systemic reform was a rebuke to the central leadership. It’s a little unfair to say that Premier Wen Jiabao and party boss Hu Jintao allowed China to stagnate during their decade in power. Since the 1990s, China has become a major player on the world stage, boasts the world’s second-largest economy, successfully hosted the Olympics, and has shown more attention to the poor by implementing rural health care, building roads to poor areas, and providing a subsistence-level welfare. But there’s a growing sense among many Chinese that their country’s government needs to undertake serious reforms. In China as elsewhere rising prosperity means rising expectations—especially for more transparency and openness, and less corruption. And all of this, of course, has been magnified through the country’s anarchic social media, like microblogging. Although under government control, these sites still pressure the government in ways that were rare in the past.